When passers-by look at your property, they will invariably notice your lawn, and what condition it is in. It may not be the first thing that they see, however, it will eventually be noticed in their overall picture of your property. If you are aiming to sell your home, how your lawn and landscape are maintained will have a significant effect on the value of the property. For a business, making a good first impression is very important. The initial picture of the outside will be part of that impression. It goes without saying that keeping your lawn healthy is absolutely essential to enabling that beauty. Fert-Scapes lawn care services will definitely accomplish that end. However, health is not the entire battle to having a good looking lawn. For your yard to look its absolute best, it also must be well kept. 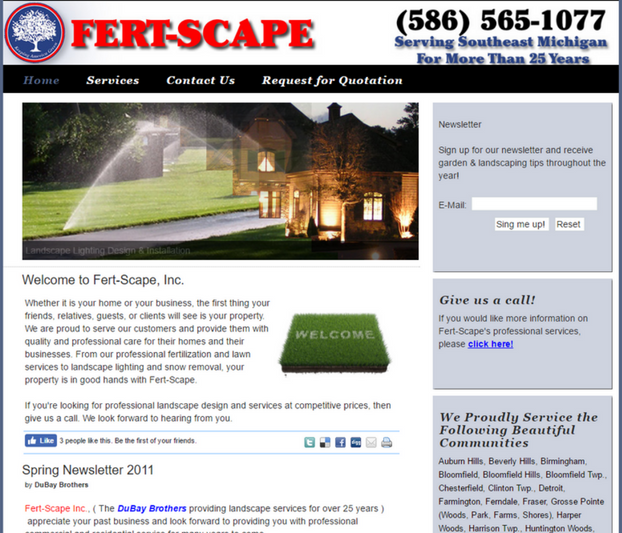 In the Sterling Heights area, Fert-Scape Inc. is also a leader in that regard. Perhaps the most basic, but very essential task to neatness is regular mowing. While most property owners are capable of adequately mowing their own lawns, nothing beats the appearance of a professional cut. We do this on a daily basis, and are the best at it. Believe it or not, a correctly mowed lawn also improves its health. Grass has an ideal height in which it should be kept for a healthy growth cycle. Proper mowing makes the lawn more drought resistant, and also discourages weed growth. At Fert-Scape Inc., we offer a weekly lawn mowing service, with a competitive fee based on 29 mowings. Our highly skilled crew will use our top class mowers to give your lawn an even cut. No matter how large or small your yard is, or whether it is flat or hilly, we will get it to an optimal, uniform height that will leave you satisfied and your neighbors wanting the same service. Edging is also included in this service. You are guaranteed to have clear, defined borders between your lawn and your sidewalks, driveways, and hardscape areas. Of course, we also clean up after ourselves. Taking care not to leave grass clippings or dirt on your walkways, we clean all those areas off with a blower when we are finished. Regardless of how well a landscape is kept, eventually due to the late fall and winter weather, it will collect debris, especially fallen leaves, twigs, and small branches. These not only fall onto your lawn, but also your gardens and landscape beds. That is why you should call on the team of Fert-Scape Inc. for your spring and fall cleanups. We happily do those tasks that many homeowners grudgingly grind out, such as raking your leaves, blowing out debris from your landscape beds, hardscape and walkway areas, and your lawn. In the spring, we do this before the first cut. In the autumn, it is done before the final mowing of the year. Fert-Scape Inc. is just as adept in plant care as we are in lawn care. We have well-rounded experience in tree, shrub, and garden maintenance. We will take care of the weeds in your garden and landscape beds, trim your shrubs to a neat, sharp-looking form, as well as cultivate your plants and flowers. If you have a sprinkler system, we can ready it in the spring, and winterize it at the end of fall. Don’t trust your lawn or landscape beds to just anyone. 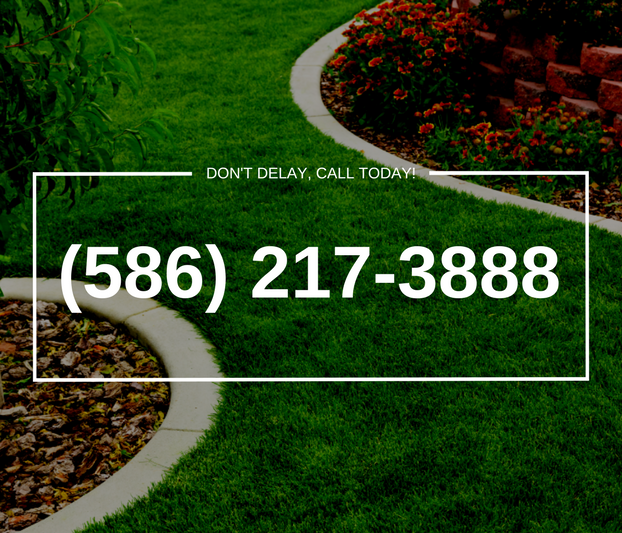 Call on Fert-Scape Inc., the true leader in lawn services. You can either call or email us through our contact page. We look forward to hearing from you.